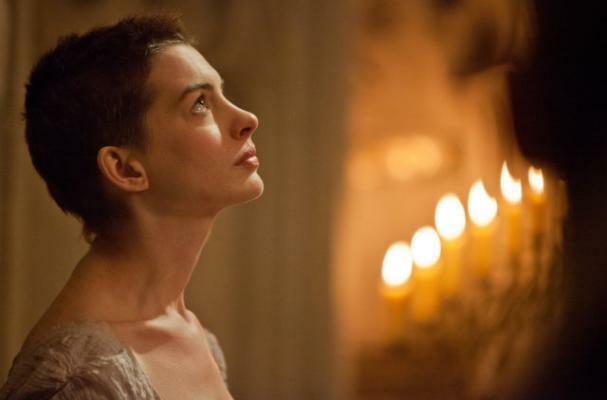 Anne Hathaway had to lose a lot of weight in a short amount of time for her role in Les Miserables. The actress admits that her diet was grueling and would not recommend her fans try it. "I lost the first 10 pounds in three weeks through a detox and then I lost the subsequent 15 in 14 days by doing food deprivation and exercise, which I don't recommend," Hathaway said. "I was under the supervision of a nutritionist and I had a doctor monitoring me, but it's not fun. You can be too thin." Hathaway previously revealed her diet to play Fantine in Les Miserables consisted of radishes and hummus.